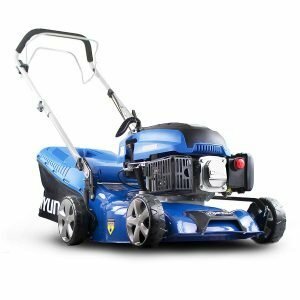 Why a Self Propelled Petrol Lawn Mower? 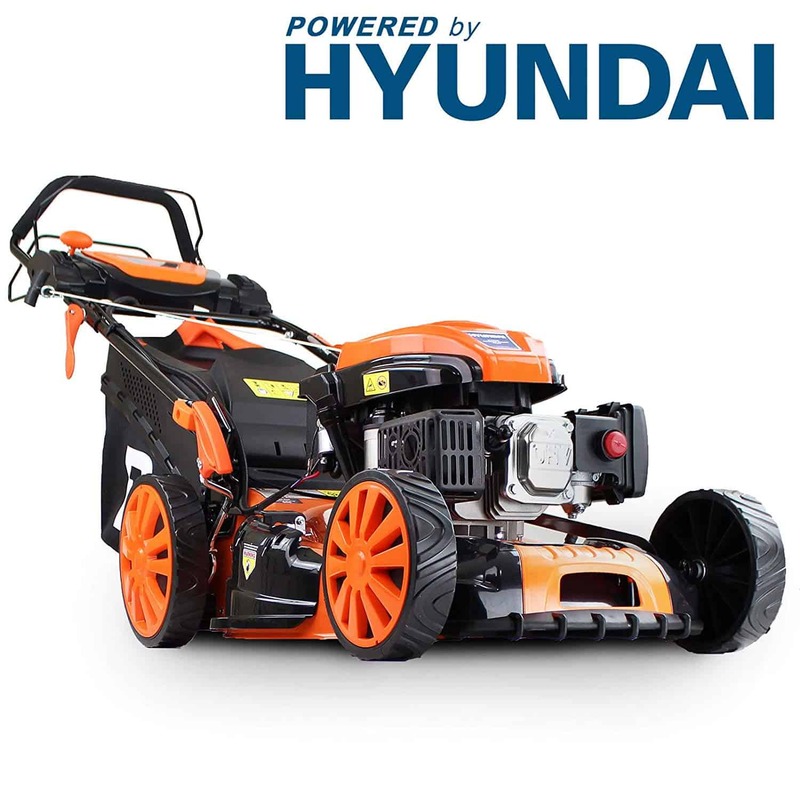 While better known for well-priced reliable cars, Hyundai make some fine lawnmowers. The HYM430SP is a case in point. 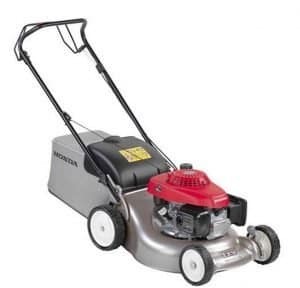 This lawn mower has a decent 139cc 4-stroke engine that is powerful, low maintenance and economical to run. As an added bonus it has low emissions making it eco-friendly. 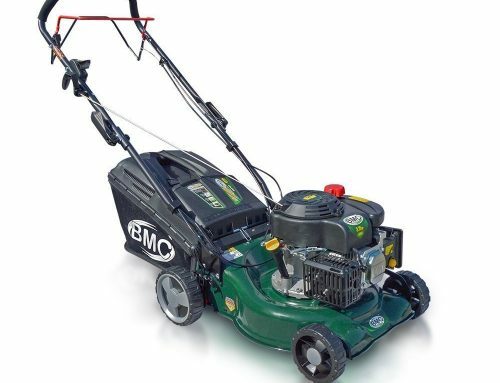 The rear wheel drive mower is self-propelled making it a pleasure to work with. The HYM430SP is quite easy to move around curves and obstacles. 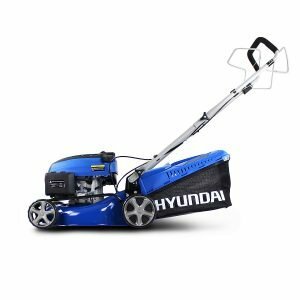 This Hyundai HYM430SP lawnmower has a 43cm cutting width, which is a great size for most gardens and a 45-litre grass box for even more convenience. It has a tool-free design and the recoil starter has a contactless ignition so is easy and reliable. You can use the Hyundai HYM430SP at any time of the year on all grass types as it has good height adjustment options with 6 setting from 25mm to 70mm. Adjustment is quick and easy with a simple leaver. Another great feature that many other mowers lack is a mulching plug allowing the Hyundai HYM430SP to mulch the grass cuttings. The deck is tough and durable thanks to the powder coating. This lawnmower even has a hose connector on the deck to make cleaning easier. Hyundai has used Operator Presence Control (OPC) so the engine will cut as soon as you let go. To make storage or transport easier the handles fold down completely. 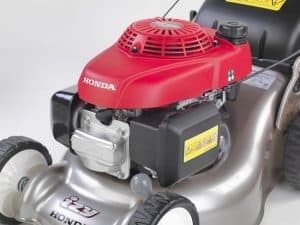 Although this model has a 46cm deck, the same lawnmower is also available with a smaller 41cm (Honda IZY HRG416 PK) deck or the larger 53cm deck (Honda IZY HRG536 SD). 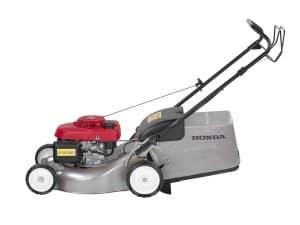 With a quality 139 cc single valve four-stroke engine this lawn mower delivers great power and cuts grass to perfection. It will be an ideal option for a medium to large lawn. The Einhell GC-PM 46 S is self-propelled so very little effort is required from the operator. If necessary, you can disengage the drive gear. It has a powerful rear wheel drive making it easy to move around. The engine produces great torque and 3000 rpm. The Einhell GC-PM 46 S has a great choice of 9 cutting heights from 30 to 80 mm. This feature is quick and easy to adjust. The handles are adjustable and ergonomically designed for comfort and fold down for storage or transport. 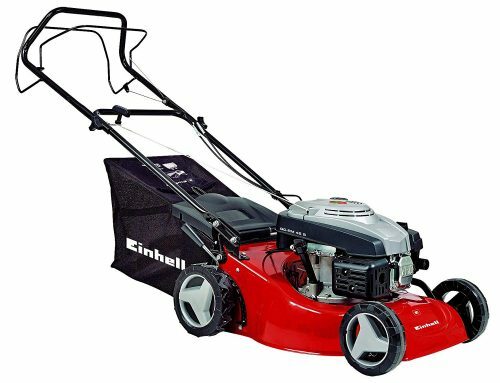 The 46cm cutting width on the Einhell GC-PM 46 S is great and will make quick work of large lawn areas. 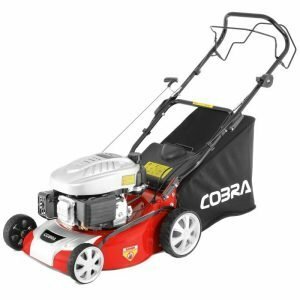 This lawnmower is solidly built from steel and powder coated for added protection and durability. The fabric grass bag is a generous 50 L and has a level indicator. The Einhell GC-PM 46 S has a recoil starter but it is conveniently located on the handle for easy reach without bending over. 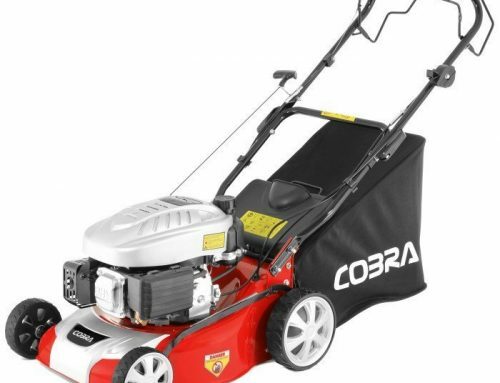 The Cobra M40SPC is a well-made durable lawnmower with a decent 135cc 4-stroke engine. It is well-built and has good self-propulsion to make getting around the garden quick and easy. It offers an amazing 10 cutting heights from 25 to 75 mm for a perfect cut every time and better than most competitors. gardens. It is great on slopes or banks. The Cobra M40SPC has a good 50 L grass bag so you will not have to empty it too often. 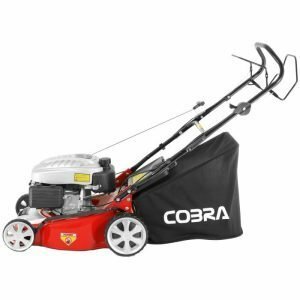 The Cobra M40 SPC is s a popular well-loved model that received a lot of positive feedback and comes with a 2-year warranty. 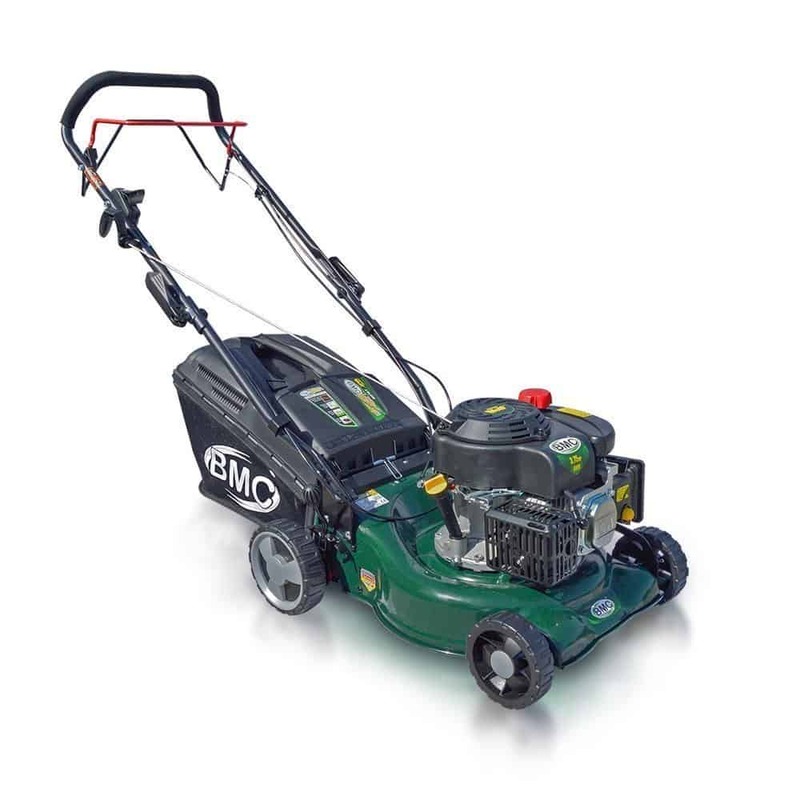 Unless you have a tiny postage stamp sized garden, chances are you need a petrol lawnmower. It is all very well to nip around a small garden with an electric mower but a petrol mower gives you much more power and freedom. This is especially true when you have a medium to a large area of lawn and essential if you have banks or slopes. 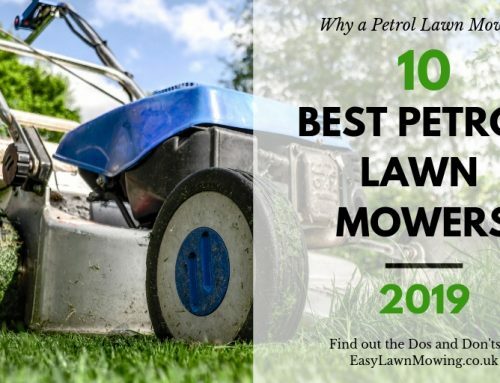 That is why we have produced this 10 Best Petrol Lawnmowers 2019 guide to what we believe are the 10 best petrol lawn mowers in the UK. 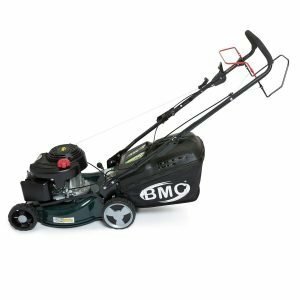 The initial outlay for a petrol lawnmower is generally a bit more than an electric option but the improved power and the convenience of not having to worry about electrical cables will make it a worthwhile investment. They are also generally more durable so should last longer than most electric lawnmowers. Some will claim that battery powered cordless lawn mowers will see the demise of petrol mowers, and whilst true, cordless lithium-ion mower have massively improved over the last 2 years, they are still many years away from replacing petrol lawn mowers. 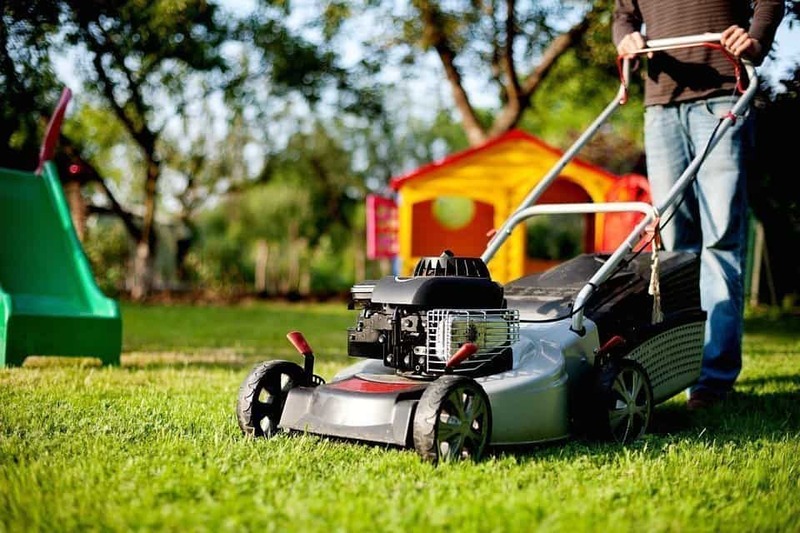 For larger and more undulating lawns petrol still may be the best option in terms of power, longer run times and self-propulsion making cutting your lawn easier and quicker. 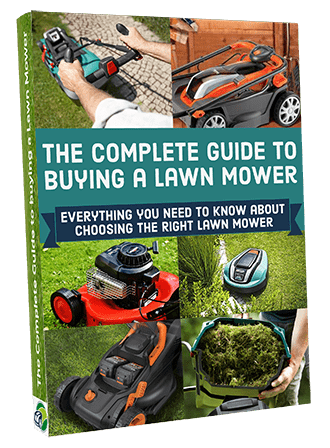 I have written a free guide called “The Complete Guide to Buying a Lawn Mower” that details in depth the pro’s and con’s of cordless, petrol, corded and robotic mowers and the best way to decide which is best suited to you and your lawn. 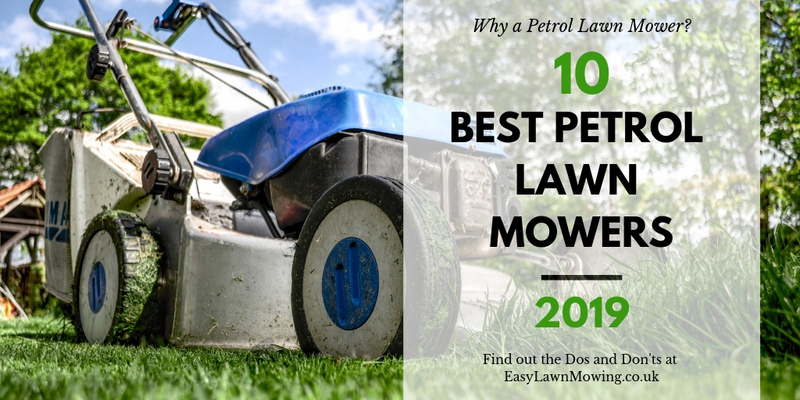 Not all petrol lawnmower are created equally so we have done some serious research to find the best of the best. Give some thought to the size, shape and gradient of your garden. There are a number of factors to consider when comparing and evaluating the different options. The first of these should always be the size of your garden. You have already decided on a petrol lawnmower but there a number of other things to think about. 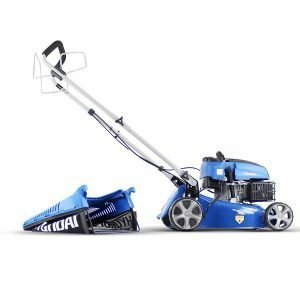 Power – With a large garden, the lawn mower will have to work harder. You also do not want to spend all day trying to mow the lawn so look for one with good power. 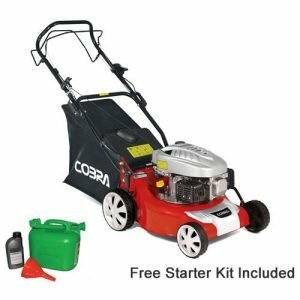 This will allow it to effortless cut any size lawn even when the grass has grown a bit long or is wet. 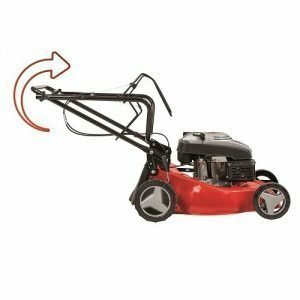 Self-propulsion – With a smaller patch of lawn this is not a major concern but pushing a big heavy lawn mower around a large or even medium sized garden can soon become tiring. Self-propulsion will take the hard work out of mowing and all you really have to do is just guide it around the garden. Choosing a self propelled petrol mower is a well worth consideration, even with a smaller garden, is if the teens or grandparents want to use the mower. They will find it much easier if they do not have to push the full weight of the lawn mower. The gradient is another factor. If you have lots of banks and slopes in the garden look for a self-propelled option to make that less of a challenge. Cutting width – Simply put, the larger the cutting width the larger the area of lawn you will mow with every pass. For larger gardens go for a lawn mower with a wider cutting width. 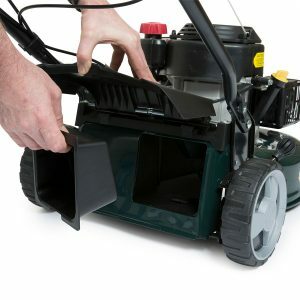 While it makes accuracy around corners and edges a bit more tricky it will make cutting the lawn much faster. Grass box size – Again, a larger grass box will let you mow the lawn faster as you have to spend less time emptying it out. The more powerful lawn mowers will have no problem with the additional weight of a large grass box and the fewer trips to empty it out will make your job faster. Apart from factors related to the size of the lawn, there are a few other factors to consider. Noise – If you have neighbours that are close by, you don’t want to upset them every time you mow. Some models are considerably quieter than others so bear this in mind. 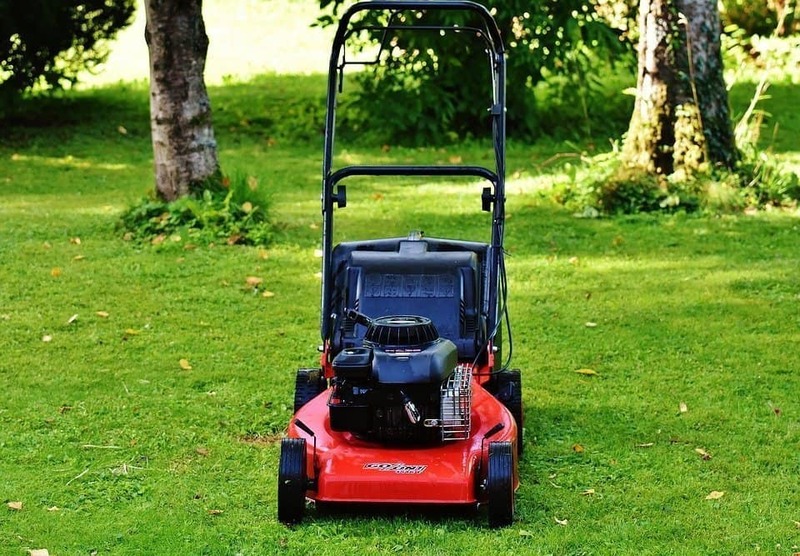 Fuel consumption – If you are cutting often, particularly on a large lawn, the cost of fuel can add up quickly. Look for a model that is economical to operate. Keeping it well looked after and serviced will also help to keep fuel use down. Mulching – Mulching is a feature that only some models have. It has a setting designed to chop the grass into small pieces that are then left on top of the cut lawn. As they rot down they return nutrients to the soil and improve the health of the grass. Mulching is economical and environmentally friendly but not everyone is going to use this feature. 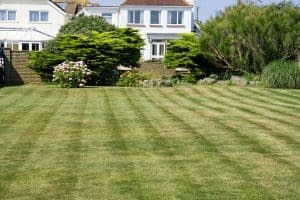 Cut height options – Depending on the type of lawn, the time of year, weather conditions and a number of other factors, you will want to adjust the cutting height from time to time. If the grass has been left to get a bit long, you do not want to send it into shock by cutting it right back in one go. 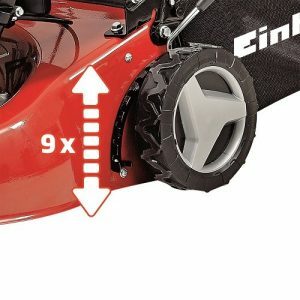 Look for a mower that gives you a range of cutting height options and that they are fairly easy to adjust. Recoil or electric starter? While most modern recoil starters are easier and more reliable than they were some years back, it is still a bit of effort and can put a strain on the wrists. If this is a concern, look for a lawn mower with a convenient electric starter. 4-Stroke vs 2-Stroke – The main advantage of the 4-stroke motor is that there is no need to mix in 2-stroke oil every time you add fuel. Ensure it has engine oil and the rest is simple. 4-Stoke motors are also more economical to run than 2-stroke engines. Handle comfort – Some models have soft grip handles that are ergonomically designed. This makes the lawn mower much more comfortable and less tiring to use. You also want the handle height to be adjustable so that it is comfortable for different people to use. Storage – If you have limited storage space, look for a more compact model and one that allows the handles to fold down for easy storage. Rear roller – If you are wanting that elegant and professional striped effect on your lawn you want to look for a model with a rear roller. Budget – A lawn mower is a fair investment and should last you for many years. 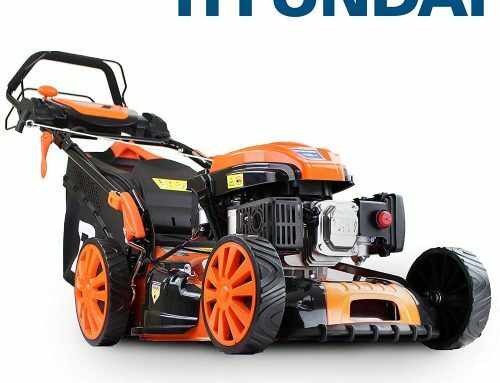 You want one that is tough enough and powerful enough to handle your lawn and durable enough to last many years. These quality mowers are all well built from quality materials and if looked after, will give you many years of great service. Some are obviously more expensive than others so consider your budget when comparing the options.